18 Self-Portraits, 15 Portraits, 9 Portraits in 2 Different Forms. 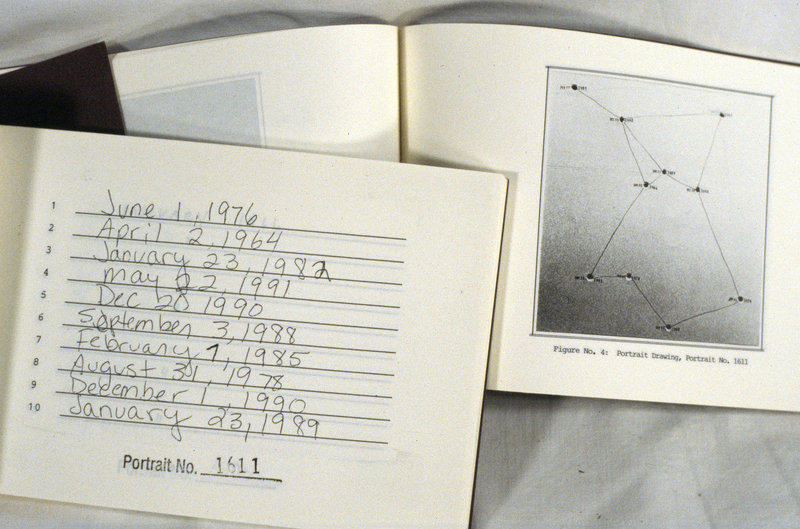 The survey behind this methodical book asked respondents to list ten dates in their lives “representing significant events/actions/occurrences/influences.” Maher then mapped these coordinates by shooting “10 rounds from a 45 caliber automatic handgun, penetrating all sheets at one time” at the Westside Range, New York. She also documented the responses onto rubber stamps, imprints of which are included in the book, along with copies of the original responses.